Open to actors of all types, you are invited to a free seminar about The National Monologue Slam. By attending the free Slaminar, you will get the discount code for 50% off admission to THE NATIONAL MONOLOGUE SLAM JULY 20TH in NYC. YOU WILL ALSO GET TO TAKE 2 MASTER CLASSES. MASTER CLASS 2 TAUGHT BY TALENT AGENT DUSTIN FLORES OF THE MINE TALENT AGENCY. WATCH THIS VIDEO WHERE THIS TALENT GETS A DIRECT MEETING WITH A CASTING DIRECTOR FROM DOING THE NATIONAL SLAM. Why join the National Slam? 1. Access to 2 Master Classes with both an industry leading casting director and talent agent. 2. Perform your best 1 minute monologue or song with industry feedback. 3. This is the only slaminar of its kind where you get 2 master classes AND perform your best monologue or song in the competition. 4. The only Slaminar of its kind where talent has access all day to work with both a casting director and a talent agent plus access to National Slam mentors. The National Monologue Slam, is an opportunity for emerging actors to perform for industry professionals each and every month by providing a panel of judges consisting of agents, casting directors, producers and the like, offering valuable advice and critiques of the performers. This free seminar will cover how actors leverage their performance into success landing agents, talent managers and booking their own work! The seminar will also cover how to make your monologue more active. 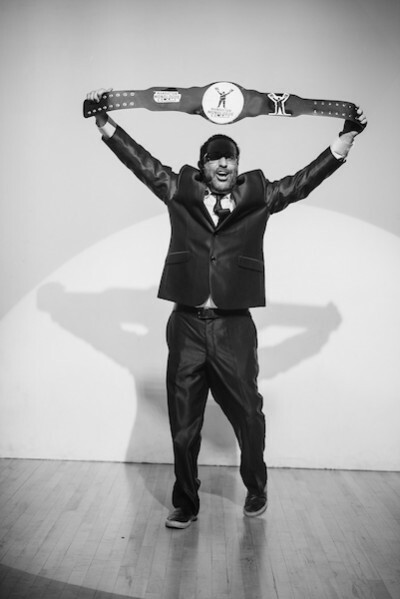 Philip Galinsky has been serving the NYC acting community for over 10 years with his groundbreaking monthly networking showcase, The National Monologue Slam. It is an opportunity for emerging actors to perform for industry professionals each and every month by providing a panel of judges consisting of agents, casting directors, producers and the like, offering valuable advice and critiques of the performers. All participants leave the night with more knowledge, insight and industry connections than they had when they arrived. As an actor, Phil most recently booked a co-star role on Law & Order: SVU.